Potent marketing strategies can be initiated with trendy flyers and posters, which come with vibrant patterns and appealing designs. Hand- drawn vectors are included with most as these look trendy and provide better aesthetic values. Many organizational posters and packaging designs make use of the flower vectors which are extremely vibrant and can be scaled according to the requirements. 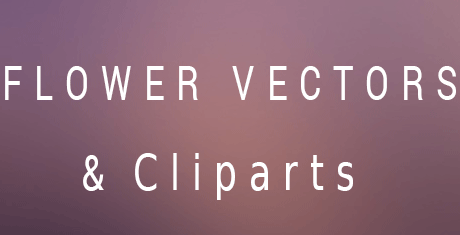 Most of these vectors are free and can be downloaded with ease. Printouts need to be taken and these can be manually placed over the boxes and packages. One can use these as the gift packaging accessories whereas certain premium designs are also available for the professionals with specific needs. Trendy and stylish designs constitute these innovative vector sets which come with several illustrators and best in business graphics. Websites also benefit from these vectors as webpages and handles can be skillfully customized with these added into the mix. With varied flowers and accessories in picture, most online stores provide the top class compilations for personal and professional use. Vintage and modern shades are included on demand as adding these would render an organic touch to the projects and the floral artwork. Plan the decorative invitations perfectly on selecting the preferred vector sets which would infuse credibility and panache into the webpages.